in catfisk! you're challenged with collecting as many fish as you can from this delightful aquarium feeding trough you've been left alone with. and then you can choose to collect various more fish. 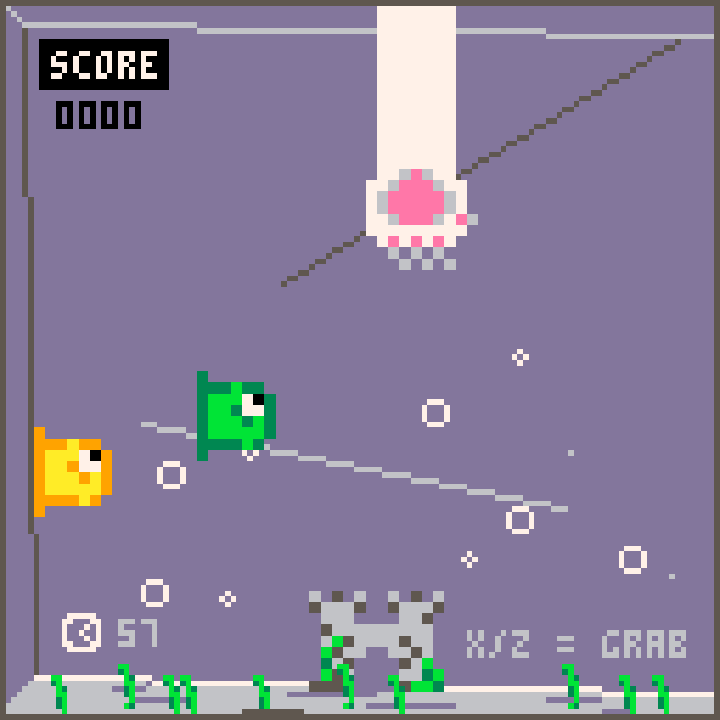 after learning of fishing jam 2, rabblrouser and babyjeans set off to make a couple separate projects, but quickly converged to work on rabblrouser's wonderful idea: catfisk. for rabblrouser, catfisk was big learning experience in all things programming and it's an introduction and practice run of more things to come. for babyjeans, it was a chance to exercise some programming muscle, as well as share and teach some knowledge. 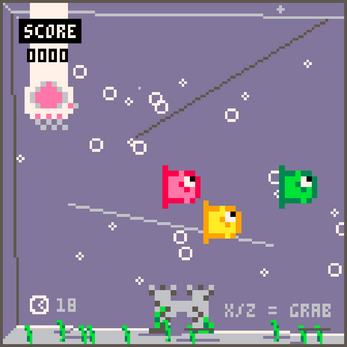 babyjeans is rabid for all things lua, pico-8 is no exception.